I HAVE BEEN MARINATING IN MUSIC FOR 34YEARS NOW. AS A MUSIC LOVER AND DJ I PROGRESSED INTO MAKING MY OWN MUSIC. I AM A VINYL JUNKIE AND SPEND DAYS AT RECORD FAIRS CARBOOT SALES AND CHARITY SHOPS TRYING TO FIND BEATS BREAKS AND BANDS IVE NEVER HEARD. 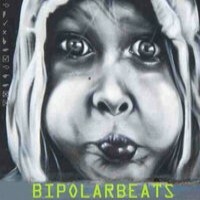 MY MUSIC IS MADE TO KEEP ME SANE IM BIPOLAR HENCE THE NAME BELIEVE ME I WOULDNT CHANGE MY BRAIN 1 BIT.